Stephen Spinelli Jr. co-founded Jiffy Lube International, and presently is the vice provost at Babson College. He also holds the John H. Muller Jr. 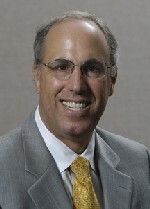 Chair in Entrepreneurship and is the director of the Arthur M. Blank Center for Entrepreneurship.